The Shenendehowa Central School District has afforded Mosaic the rare privilege of participating in and helping shape the evolution of a learning community over more than 50 years. The firm has grown with the district, designing and updating almost every building on the 232-acre main campus, as well as its satellite locations. “Shen” covers about 86 square miles, serving families from the communities of Clifton Park, Halfmoon, Ballston Lake, Round Lake, Malta and parts of Waterford, Rexford, Mechanicville and Stillwater. 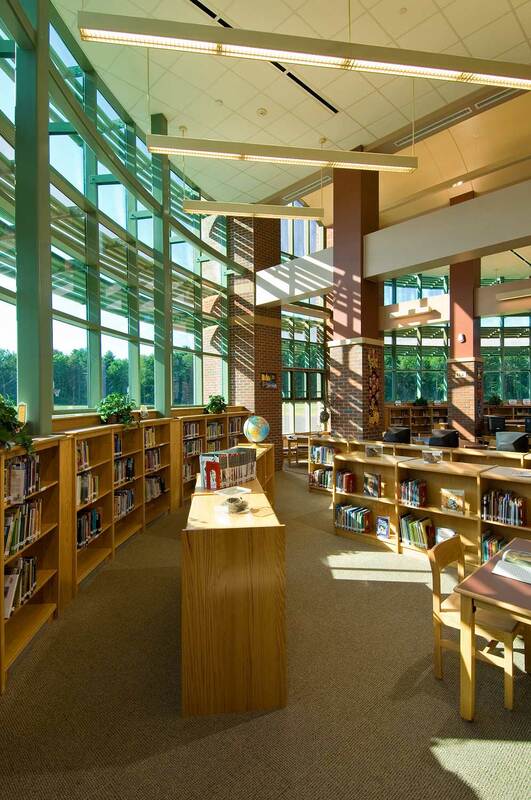 Mosaic began designing the main campus when the district centralized, starting with Koda Junior High School and Shenendehowa High School in 1964 and 1970, respectively. By the turn of the 21st century, demographic growth had prompted the district to concentrate the 10-12 grades to the High School “East” building and assign the ninth graders to Koda, now known as the “West” building. Mosaic was tasked with updating East and expanding its capacity while creating a shared sense of community for the schools, which stand about three quarters of a mile apart. The configuration was the subject of healthy debate within the community aimed at making sure that all students, staff and teachers had equal access to educational and social programs and features. The addition that unifies the schools features a new 15,000-square-foot auditorium with state-of-the-art theatrical sound, lighting, acoustical, rigging and fly systems. 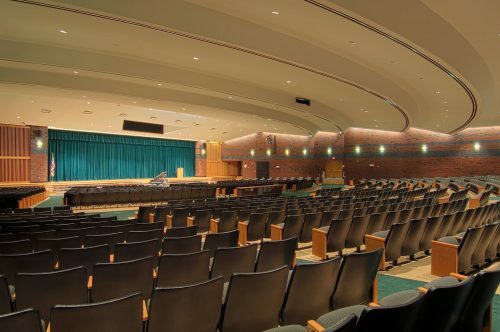 The theater accommodates 1,200 audience members with space for theatrical and musical productions and instructional support. Two courtyards allow guests to mingle outdoors during intermission. 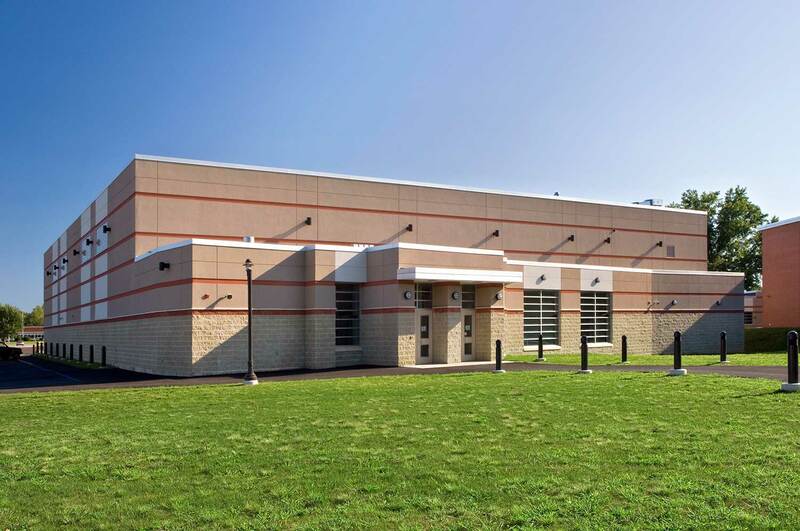 At the extreme end of the addition near the track and playing fields is a two-station gymnasium with indirect lighting, locker rooms, offices and spectator seating for 600. A satellite cafeteria in the addition is designed to serve food brought from the main kitchen. Two small courtyards at the interface of the buildings can be used in the future as storage and preparation areas to increase the functionality of the satellite kitchen. A 25,000-square-foot science classroom wing addition consists of twelve classrooms for chemistry, biology and physics. 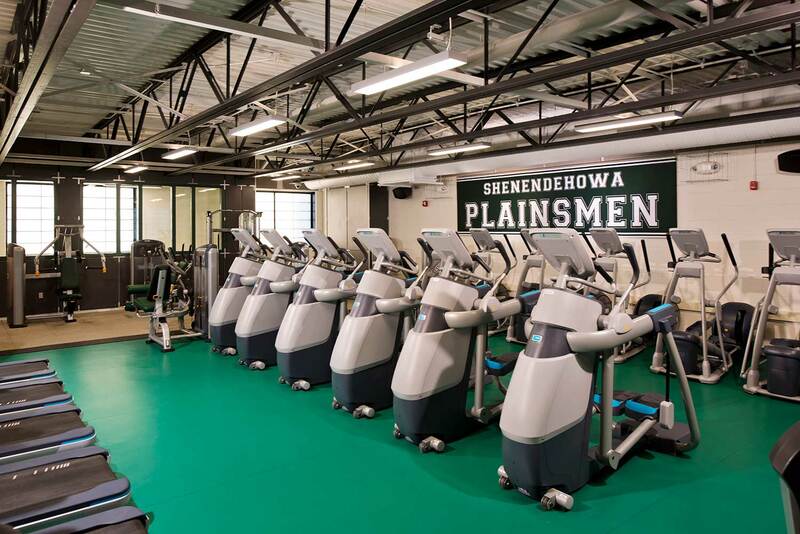 The addition of a 6th grade wing to one of the district’s middle schools in 2009 created an opportunity to fix a problem for Shen’s swim program, which has long been a state and national powerhouse. “The irony is, we never actually had a swimming pool,” Dr. Robinson said. The swim teams would rent time for practices and meets at pools in other districts. A group of swim parents and alums calling themselves SPLASH saw an opportunity to piggyback on the 6th-grade wing project to create “another gym station,” Robinson said. 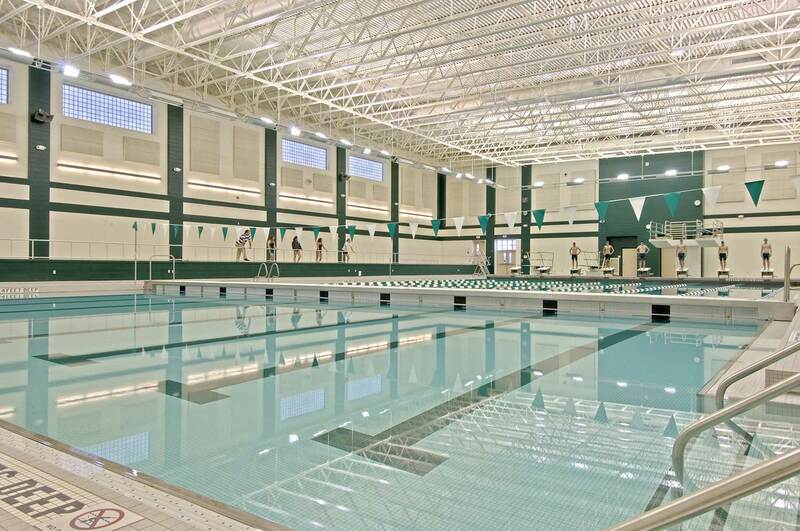 Working with a prominent aquatic consultant, Mosaic designed a pool consisting of eight lanes and a moveable bulkhead to allow three configurations for standard swim and water polo competitions. A separate deep-end space has four competitive diving boards. Bleachers accommodate 500 spectators. The center serves the competitive swim program and allows for swimming lessons for third graders and middle school students during physical education classes and electively for high school students. Educational and recreational programs open to the community include open lap swims, swim lessons, lifeguard training and aquatic aerobics. 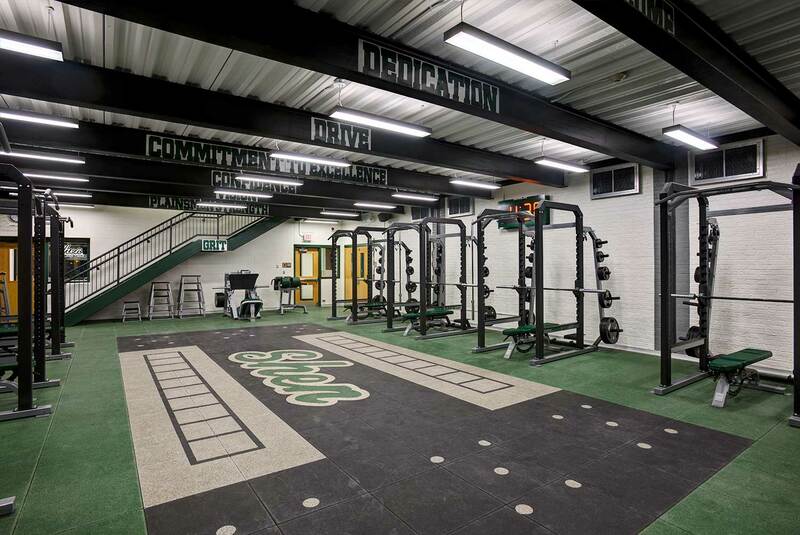 Most recently, Mosaic had helped the district add to the aquatic center with a top-notch synthetic turf field and track, a state-of-the-art High School wrestling and fitness center and weight room and numerous gyms and fields for athletic competition. The project included total reconstruction of the area, new lighting, new mechanics, new roof system and new daylighting covering all areas. This was part of a $10 million capital project approved by voters in October 2012. 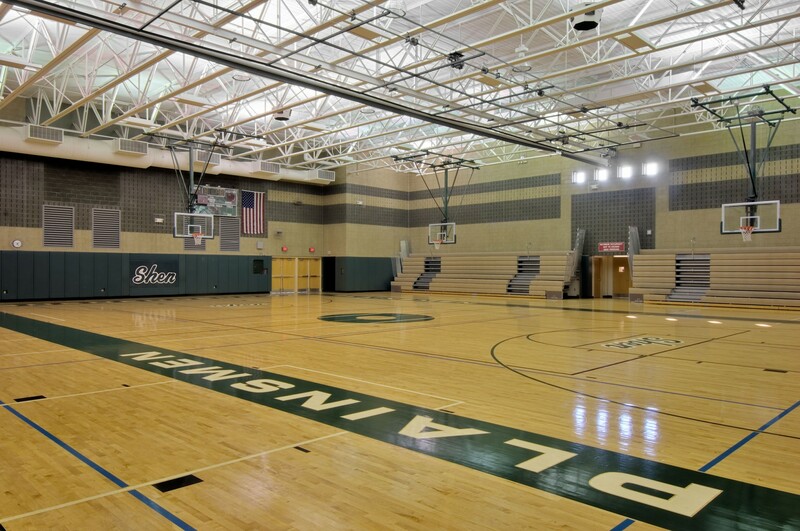 There are four elementary schools on the main Shen campus. 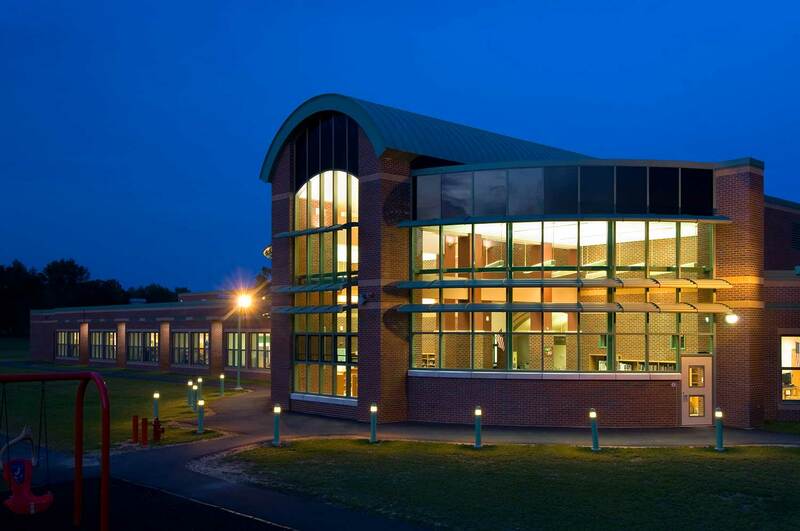 In 2007, the growing district added a fourth off-campus school, named “Shatekon,” an Iroqouis Mohawk word meaning “balanced life.” To make the most of the $19.1 million budget, state building reimbursements and future operational efficiencies, Shatekon was designed to connect with a “sister school,” Arongen. To help the district’s eighth elementary school maintain its own distinct identity, educational culture and mission, Mosaic created a separate vehicular entrance leading visitors to a lofty entrance atrium. The daylit space allows controlled security access and a natural gathering space. The media center is located opposite the entrance, isolated from the academic wings to make it more easily accessible for use after hours. The gymnasium was designed for multi-purpose and community use, with a stage for school performances and activities and public restrooms. Throughout the building, rooms are dedicated for art, music and computer usage. Shatekon has 24 bright and airy classrooms on a single level, with energy-efficient fixtures, modern fire suppression and a specialized air-conditioning chiller that minimizes mechanical noises. Two academic wings separate the K-2 grades from the higher 3-5 grade levels. 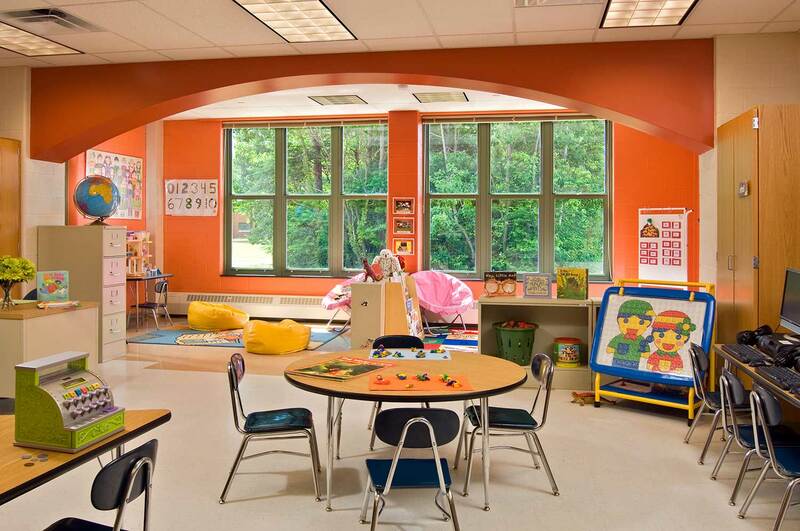 The colorful kindergarten rooms each feature a prominent arch setting the stage for group reading and creative play.